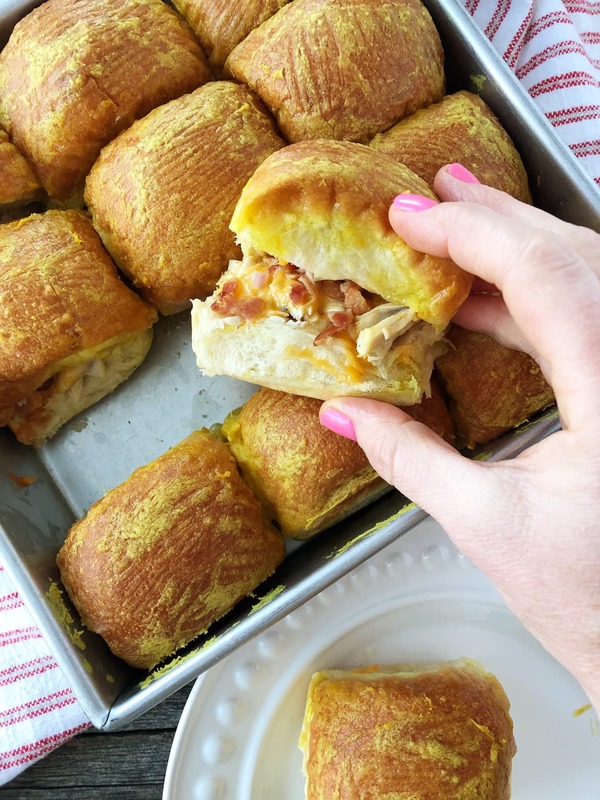 These Baked Turkey Cheddar Ranch Pull-Apart Sliders are a perfect and delicious way to use up leftover turkey! Great for a potluck lunch, easy weeknight dinner or any family gathering. I partnered with Canadian Turkey to bring you this delicious turkey recipe! I was compensated for my time, but the recipe, all thoughts and opinions are my own as always. We really love turkey. One of the best things about roasting a turkey, is having leftovers. In fact, sometimes I’ll roast a turkey that is bigger than what we need for one meal, so that I can have leftovers for meals for the upcoming week. Just two pounds of extra turkey meat (about 3 – 4 cups) is all you need to have a ready-to-go meal starter on hand. Planning for extra turkey leftovers will give you a head start on weeknight dinners and lunches…you’ll thank yourself later! 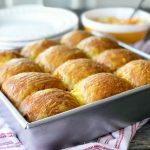 And since turkey freezes really well, I like to freeze about 1 or 2 cups of leftover shredded turkey in individual ziplock bags, so I can pull them out later to use in soups, salad noodle bowls, bakes, turkey pot pie, and sandwiches like these delicious Baked Turkey Cheddar Pull-Apart Sliders. 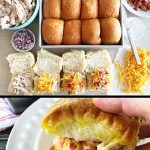 These sliders are the perfect recipe for lunch the day after a big turkey dinner, or to make later with the leftover turkey you stowed away in your freezer! Assemble them in minutes, and pop them in the oven to bake, and the result is a warm, cheesy, flavourful turkey sandwich. 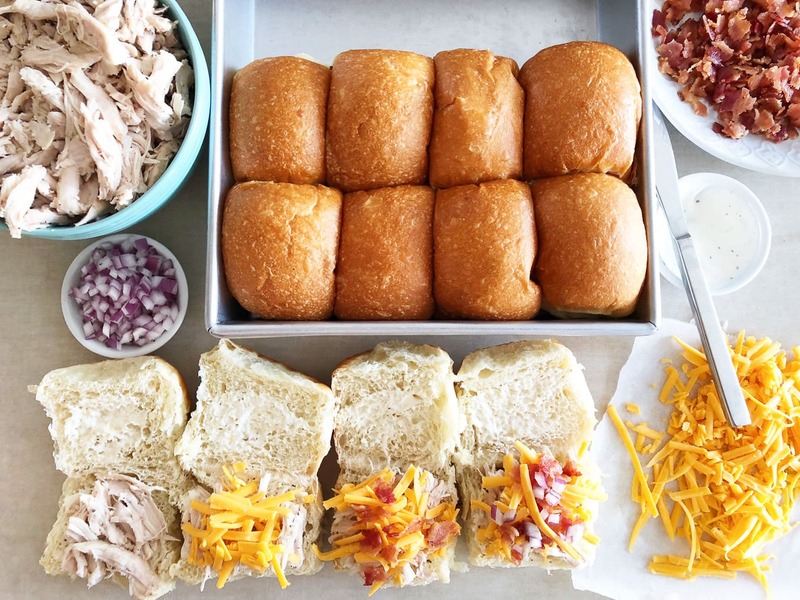 For these sliders I gathered all of our favourite ingredients for a flavourful sandwich: leftover turkey, cooked & crumbled bacon, red onion, shredded cheddar cheese, mustard and ranch dressing, all smushed between soft tray buns. Seriously. Make a sandwich assembly line, add the ingredients and put all the loaded buns into a 9×9 square baking pan. Make sure to add loads of cheese so it melts between all the buns…soooooo good. Then spread on a melted butter & mustard topping, and pop them in the oven to bake. 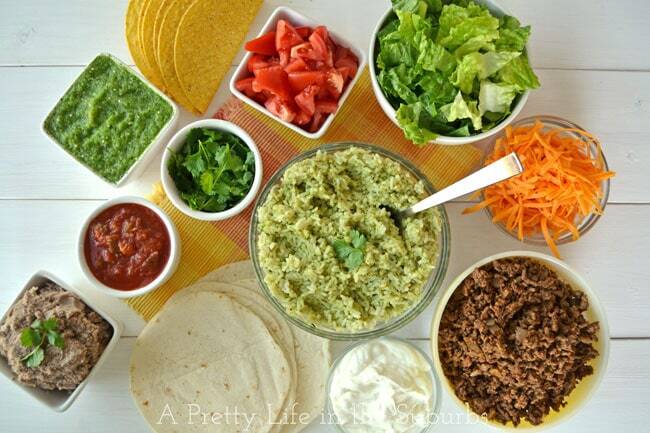 The easiest lunch or dinner ever…especially if you’re feeding a crowd. 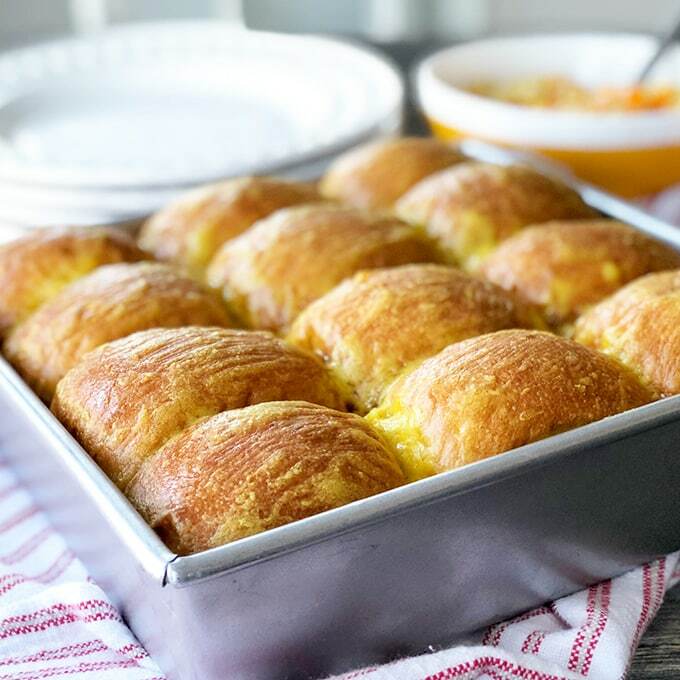 Serve them hot out of the oven…the buns are crunchy and buttery on the outside, soft, cheesy and loaded with flavour on the inside. For a complete meal, serve these pull-apart sliders with a side salad and pickles. Such a delicious way to use up leftover turkey. 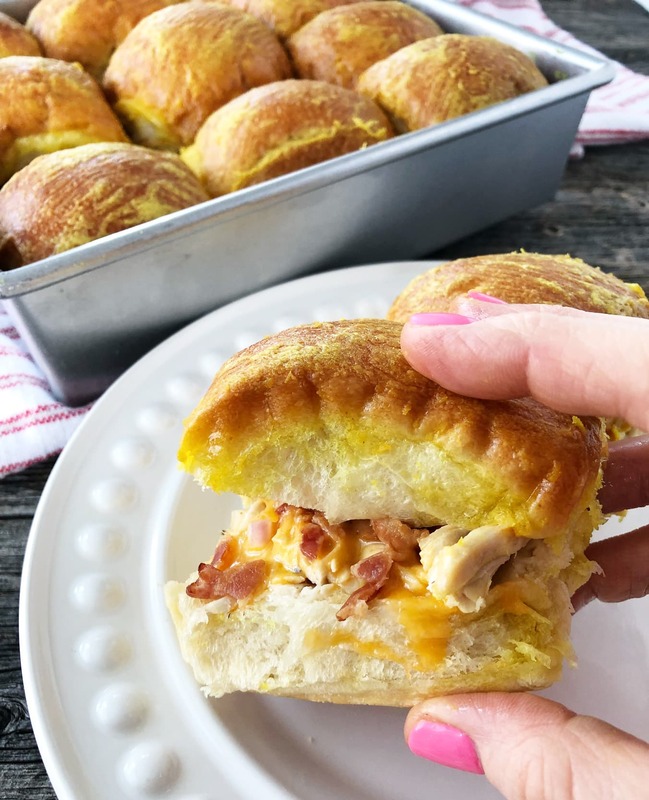 These Baked Turkey Cheddar Ranch Pull-Apart Sliders are a simple and delicious way to use up leftover turkey! Timesaver Tip: make them ahead of time and pop them in the oven when you’re ready! Cut the tray buns in half, and spread ranch dressing on the insides of both sides of the bun. Put as much or as little as you would like. 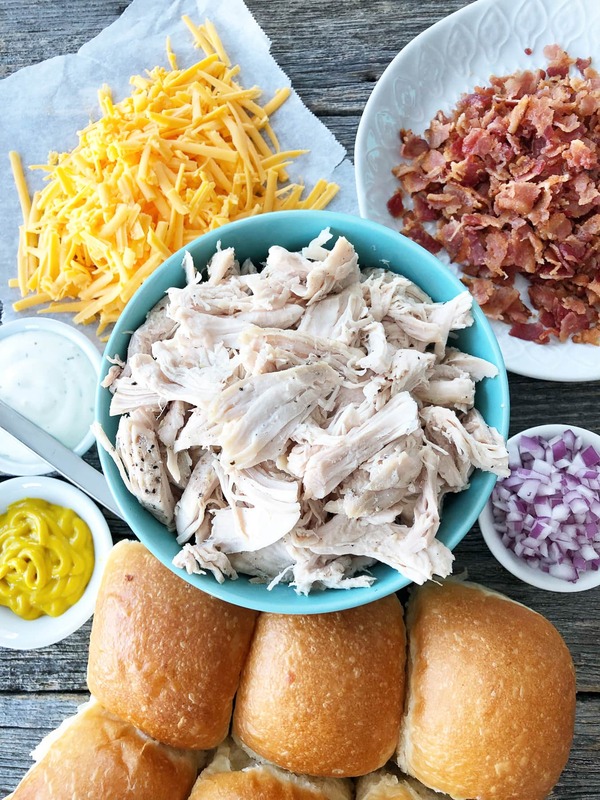 Add shredded turkey on each bun. Sprinkle on some shredded cheddar cheese. The more you add, the more cheesy they are! Add crumbled bacon and the minced red onion. 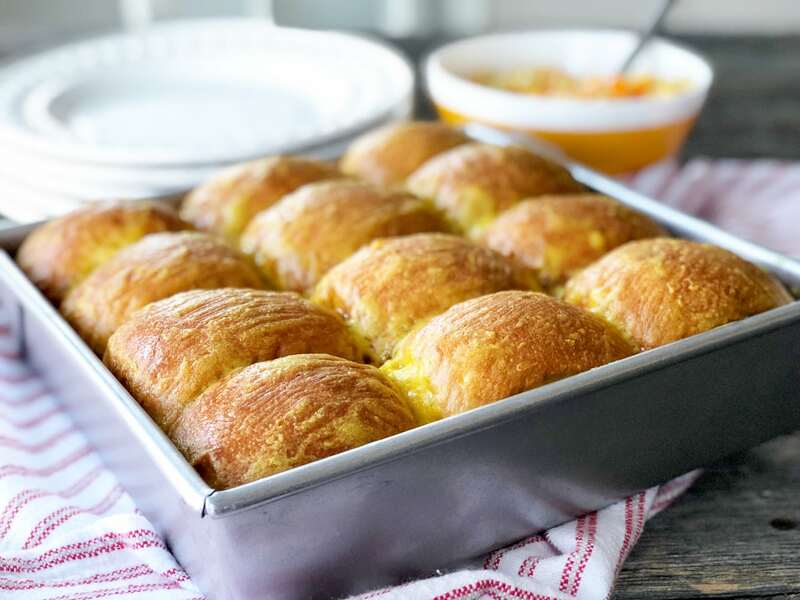 Lay the buns out in metal baking pan. I used a 9×9 square cake pan and they fit in nice and snug. Now to make the butter/mustard topping: mix the melted butter with the mustard, until the mixture is thoroughly combined and smooth. 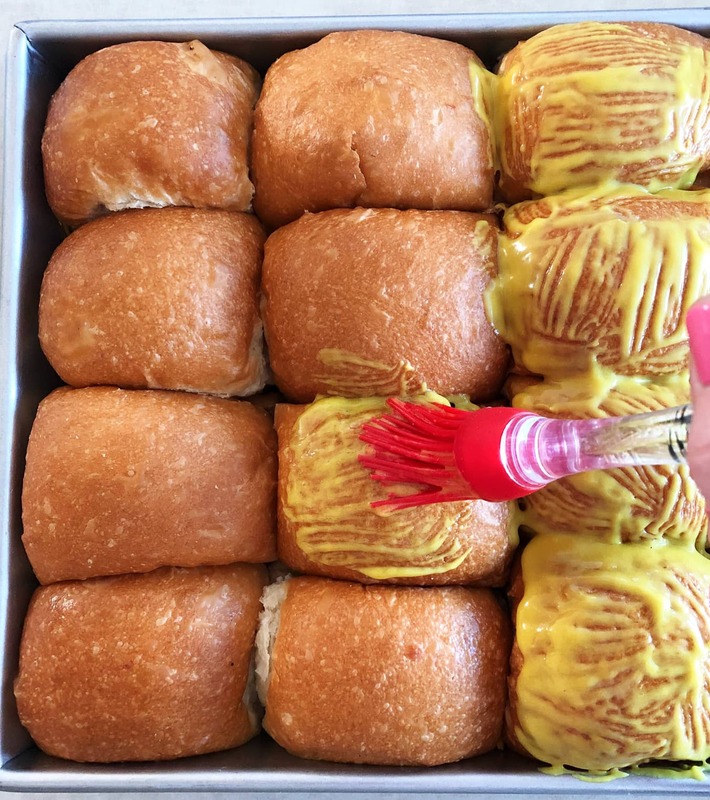 Using a pastry brush, generously brush the butter/mustard mix over the tops of the buns. 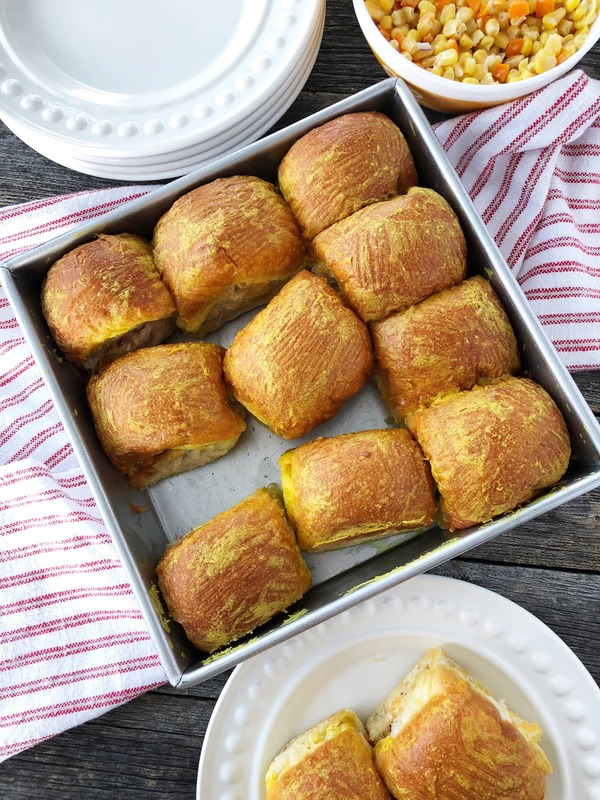 Cover the pan of buns in tin foil and bake for 30 – 35 minutes, or until the tops of the buns are golden and the cheese is melted. 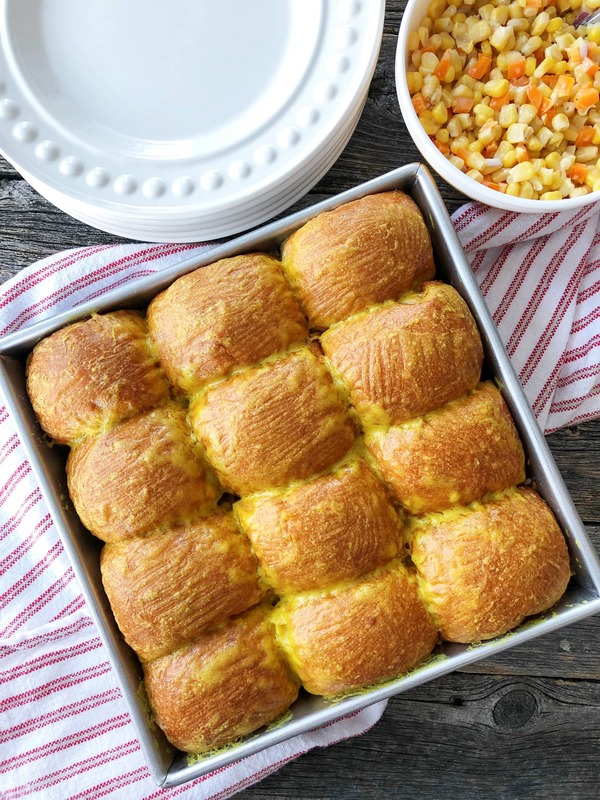 Remove the pan from the oven and serve the Baked Turkey Cheddar Pull-Apart Sliders hot! 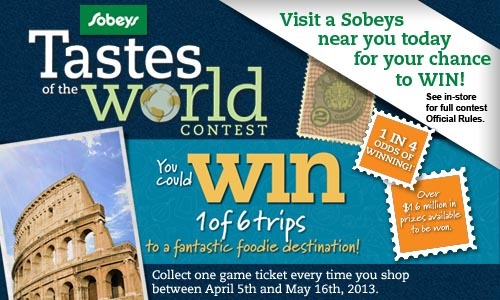 Visit the Canadian Turkey website for all the tips, tricks, techniques and recipe inspiration you might need! There are more delicious turkey recipes using leftovers, a tonne of great information on turkey nutrition, how to cook turkey, what size of turkey you need and more! And follow Canadian Turkey along on Facebook, Twitter, Pinterest, Instagram and YouTube channel. These look really tasty. 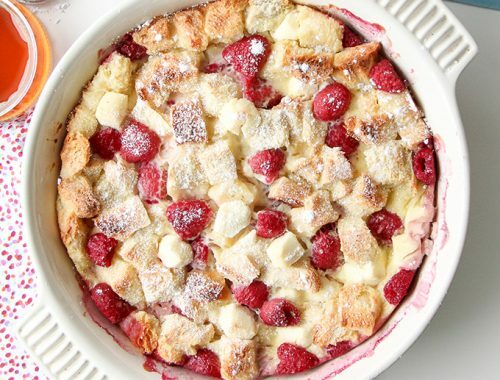 Thank you for sharing, I have pinned this recipe!